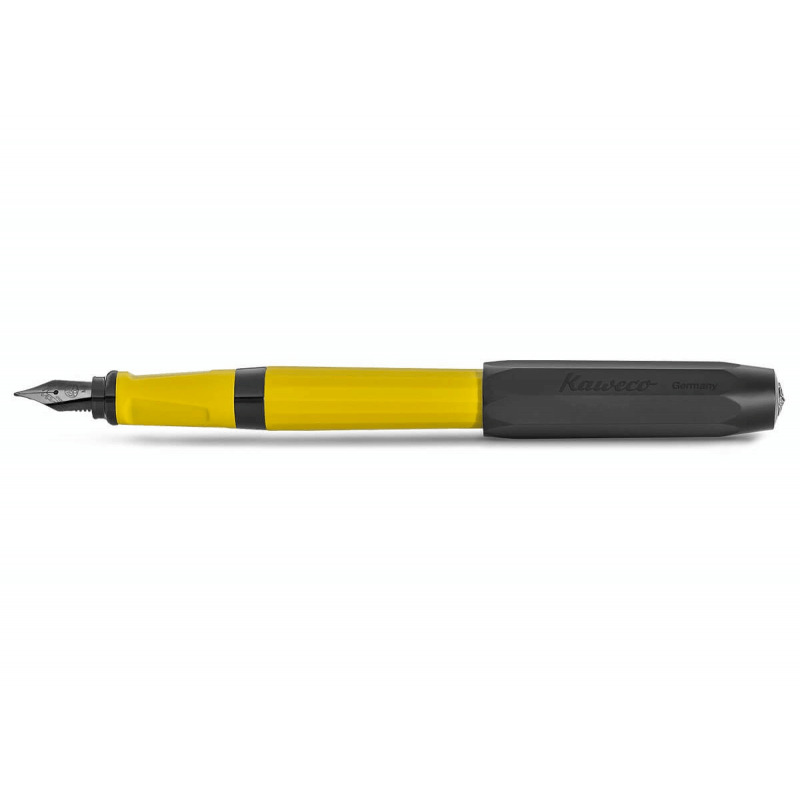 Originally launched in the year 1900 as an immersion pen, the Perkeo has been revived as a fountain pen for students and neophytes. 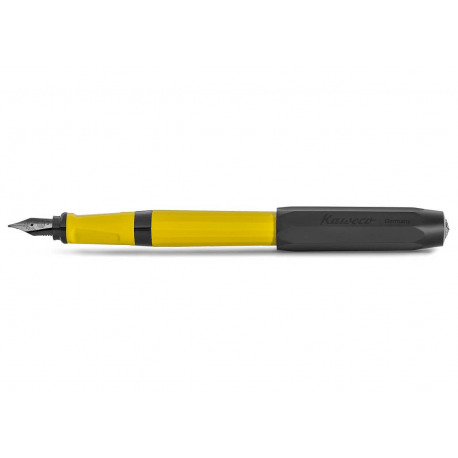 It has a characteristic Kaweco combination that combines very elegant and unconventional style elements with its octagonal cap, 16-sided barrel and two-tone color combinations. 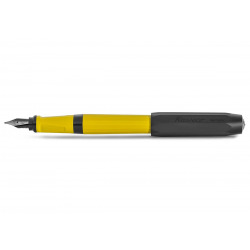 Its triangular grip section makes it easy to sustain by improving the angle of inclination so that the flow of ink is smooth and allows writing without any kind of effort. 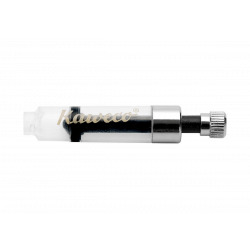 The transparent threaded section where the grip meets the barrel, acts as a hidden ink window, which allows you to check the ink level without completely unscrewing the barrel.